As the Iraqi poet Ahmed Zaidan has said, the Great Mosque was not only a significant cultural heritage site for Muslims in general, but it was also regarded as an essential part of the Mosul skyline – a symbol of the city’s long past and diverse communities. The building itself was erected in 1172 by the great Nur Al-Din ibn Zengi (1118-1174), widely regarded as the man who launched the first successful holy war against Western crusaders. 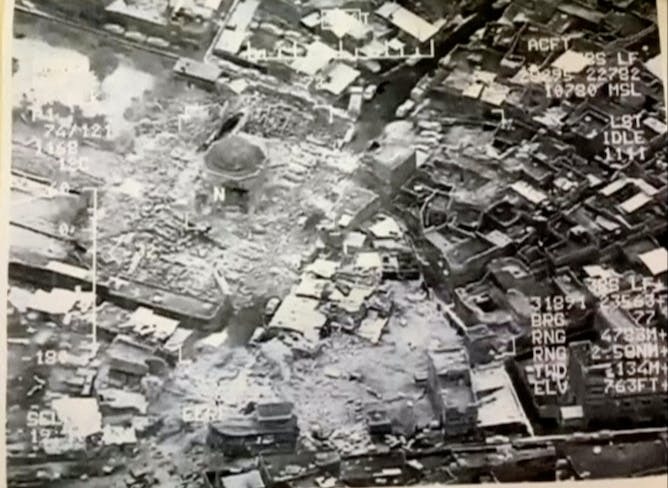 Still from a video showing the destroyed mosque on June 21 2017. The destruction of heritage is always deplorable, and forces us to ask how we value the past and what we can learn from it. However, heritage is also about the future – it is a fundamental part of the recovery of societies which have been affected by war and conflict; it is the glue that holds together such fragile and diverse communities.